I’m a sucker for EASY Christmas crafts! 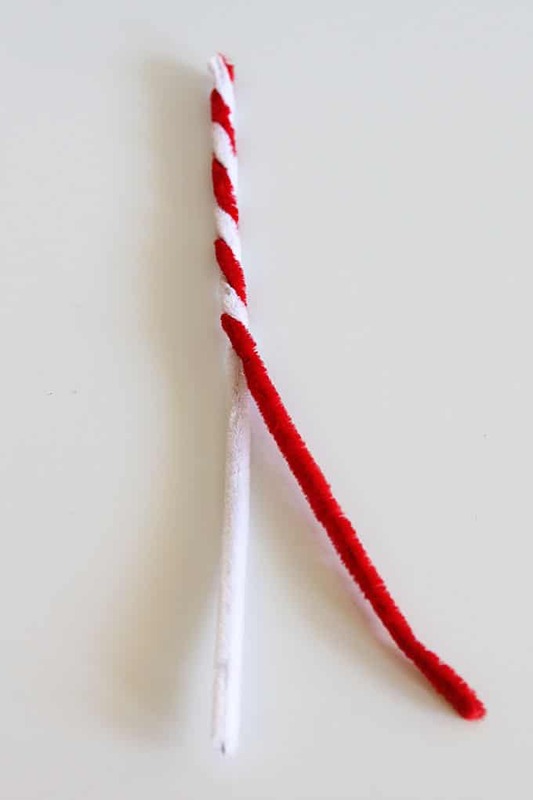 And these DIY pipe cleaner candy canes I showed you how to make back in 2010 (I was so young back then) are definitely in that easy category. So I thought I’d replay this oldie but goodie for you today. 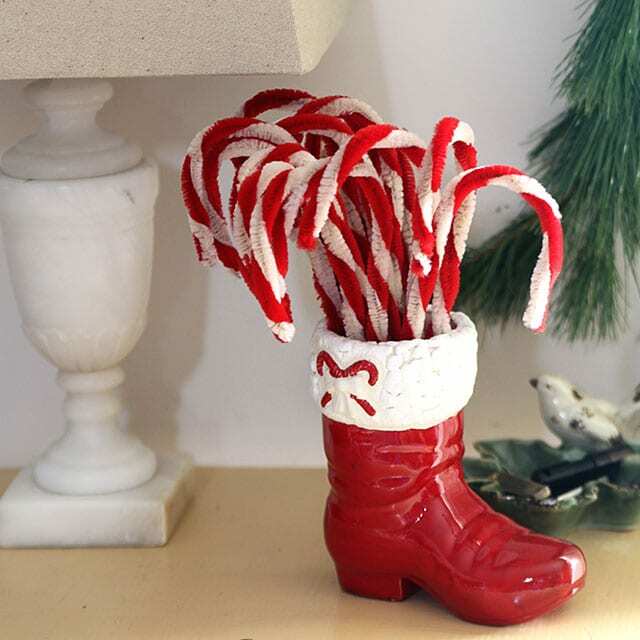 And how cute would these look tied to your Christmas packages! 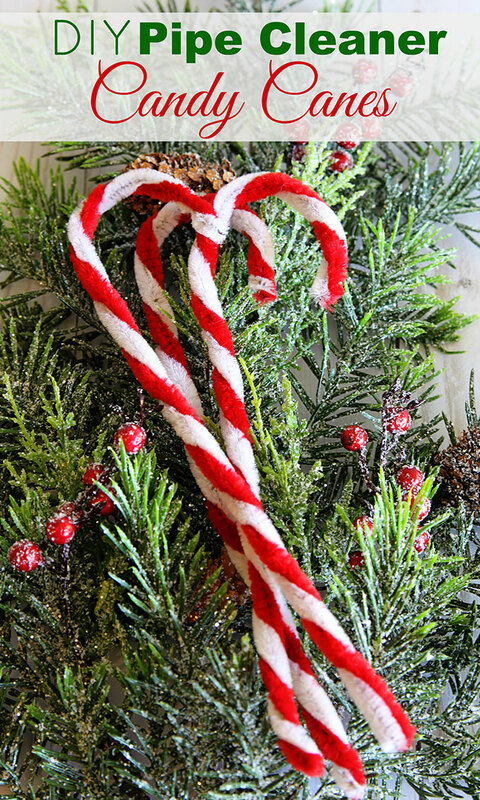 They are very similar to the vintage chenille candy canes my grandmother used to have on her tree. I have no idea if someone gave them to her or she actually made them herself, but either way they were a cherished memory of holidays long past. 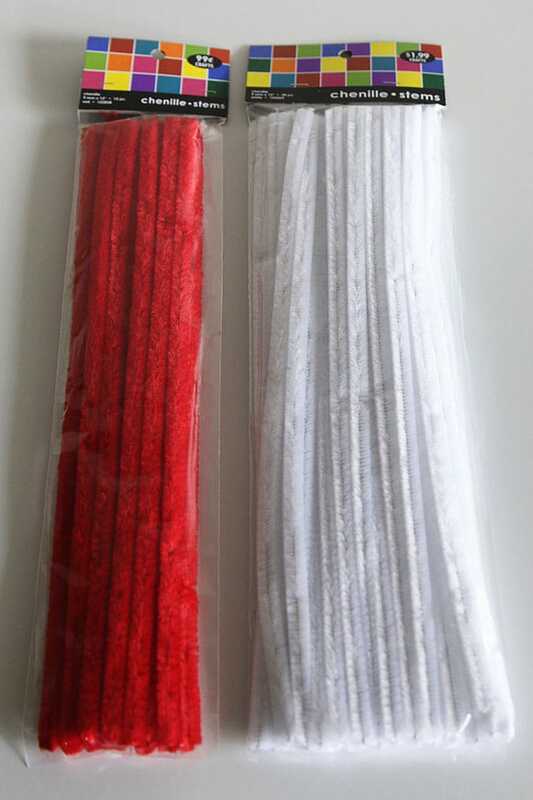 I bought chenille stems (aka pipe cleaners) at my local craft superstore. Surprisingly, they come in different diameters – I used the 9mm ones for this project since they are a little bit fluffier than a typical pipe cleaner. Then I tea-stained them to give them an aged effect. I wanted them to look like I had found them in Grandma’s attic. (So if you already know how to tea-stain, you can skip on down to the finished product). 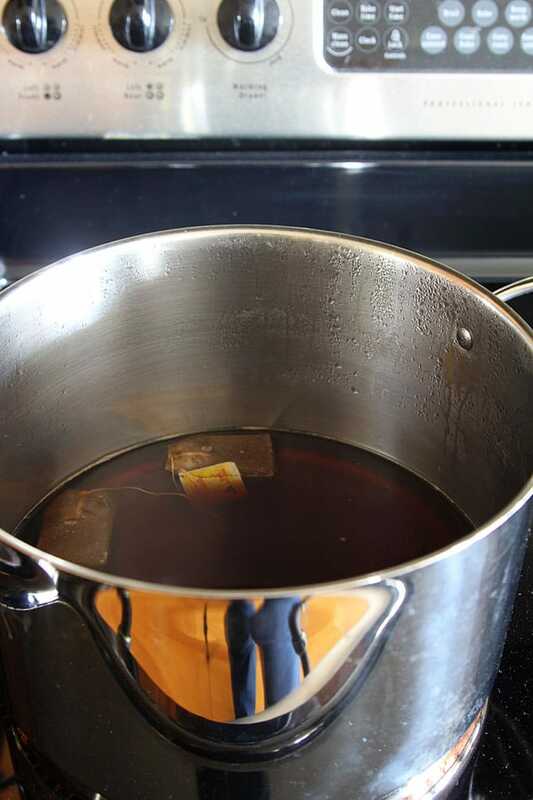 Boil some water, turn off the heat and throw some tea bags in the pot. I used 10 teabags with 6 cups of water, but there is no steadfast rule of thumb on that formula, so you can play around with the number of bags used. You want your tea water to be dark though. Darker than you would drink. After the water has attained the color you want, remove the tea bags, add a couple tablespoons of vinegar (to help set the stain – think Easter eggs here) and put your chenille stems in the water. I kept the stems in the water for about an hour. Occasionally I would take one white stem out, run it under cold water and realize that it wasn’t dark enough and throw it back in. But after about an hour, they arrived at the color I was looking for. Then I rinsed them in cold water to get the sticky tea off, squeezed off the excess water and threw them in the dryer with a dryer sheet for about 10 minutes so they would fluff back up. I had to rescue a couple out of the holes in the dryer where they got stuck. I also counted them to make sure I hadn’t left any red ones in the dryer for later surprises! 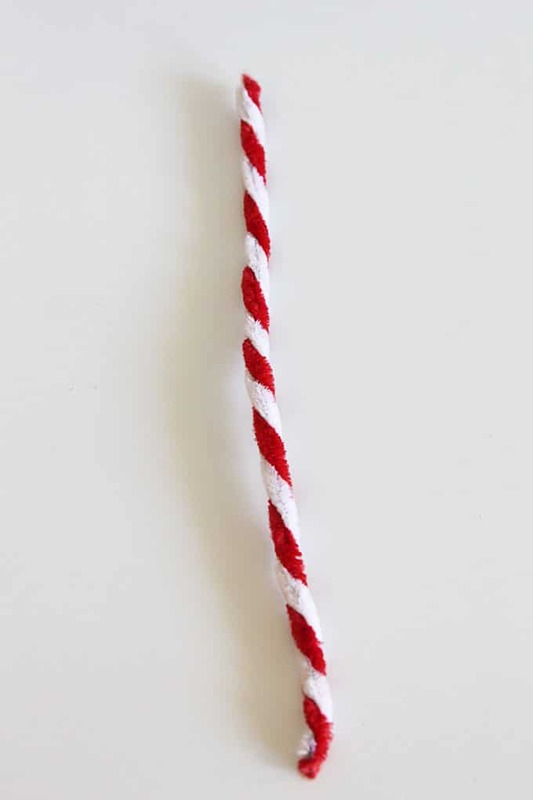 Then you just twist your red around the white until you get a candy cane design. It took me a couple tries to get the twist to look realistic, but once you get the hang of it, it is ridiculously easy (my kind of craft). Then you just need to make a bend at the top and you are done. You can use a broom handle or a toilet paper tube to bend them around if you’re going for a uniform look. The ones pictured are with full sized stems. 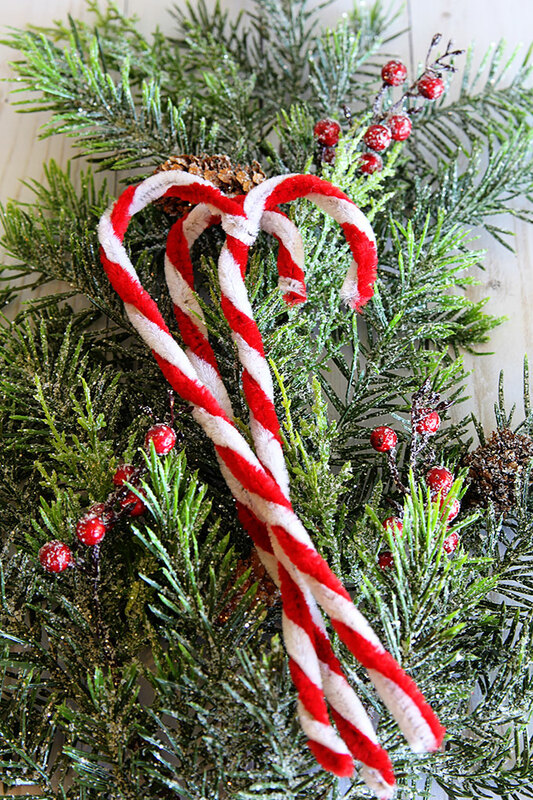 To make more petite sized candy canes for tabletop trees, cut the stems in half prior to twisting. 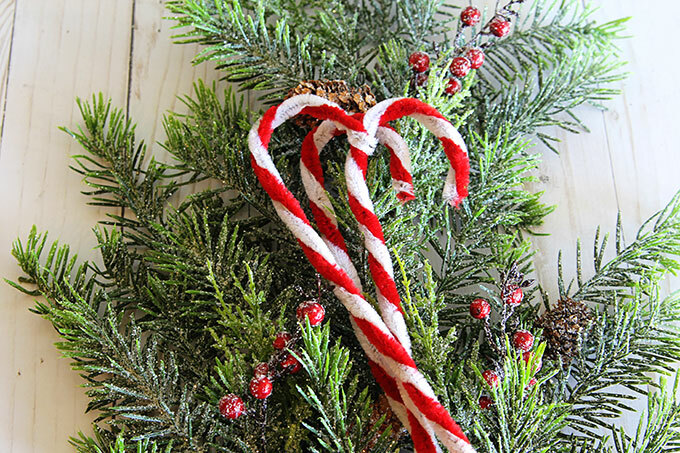 So if you want a fairly easy craft to make this weekend, these pipe cleaner candy canes are the ticket! So clever.I LOVE the idea to age them with tea staining!The bumpy ones are great for making poinsetta flowers.Thanks for sharing. I didn’t know about the vinegar either, so thanks Pam! These are super cute! Pam, very neat and I will not eat these! 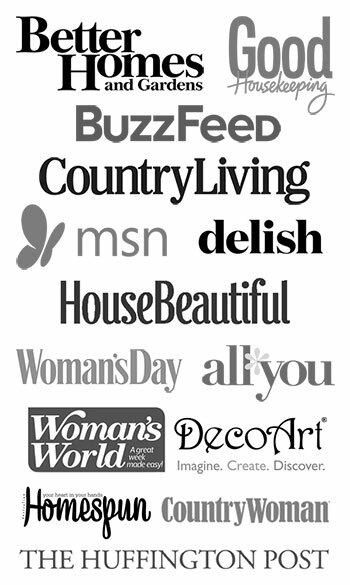 So happy to have come upon your blog, it’s lovely! those look awesome! what a clever idea – and i didn’t know about the vinegar either!! Cute! Thanks for the tut and tips! They look great! Cute idea, they came out great, Pam! Cute. Like how you tea dyed it for a vintage look. Thanks for stopping by today. 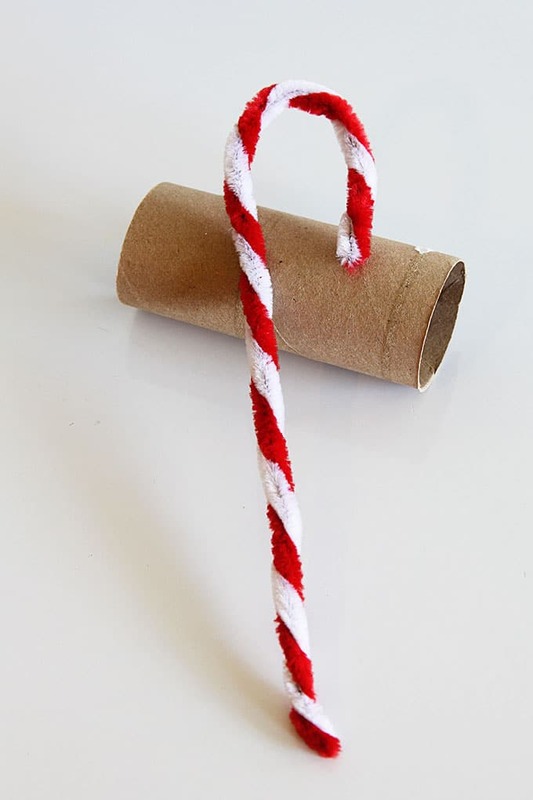 Who would have thought you could make such cute candy canes. Do you have to use the wavy pipe cleaners or will regular ones work? These would be good for a school tree. Thanks for sharing. You are not going to believe this but I did the exact same thing last night!! I had stopped by a local antique mall and they were selling some vintage candy canes for way too much money. I bought some already twisted pipe cleaners at Hobby Lobby and tea stained them (thanks for the tip about the vinegar). I love the vintage look it gave to the bright white on the pipe cleaners….goes much better with the stuff I have in my house. What a great craft idea!! I remember seeing these on my grandmother’s tree but I never thought to make some of my own “vintage” ones! 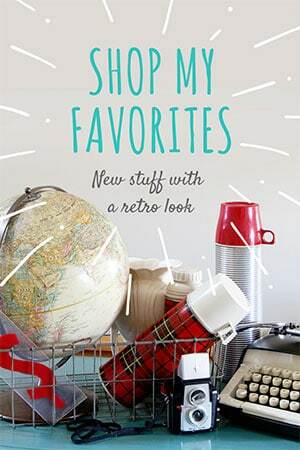 What a fun project, Pam! Thanks so much for sharing the tutorial with us!! Thanks for your nice comments on my post today, too! Thanks for the tutorial. Brings back memories of when my daughters were little. I have not seen them done with tea. Pam, you must still be thinking bout the Christmas cookies as you said in your instructions to use a “cookie” pot. Made me laugh! They do remind me of ornaments my mother had on her tree. Have you checked out the Youtube videos to make dogs using pipe cleaners and beads? I made some with our oldest granddaughter (she added markings after I made them) and they are adorable! Could have used some of these with my wreath. GREAT idea. Looks so easy. These look great especially in the boot! 1. Does the water (tea bath) make the metal rust? 2. The pix don’t really show a big difference in color (from white/red to tea color). Is there a big change or only a slight tint?